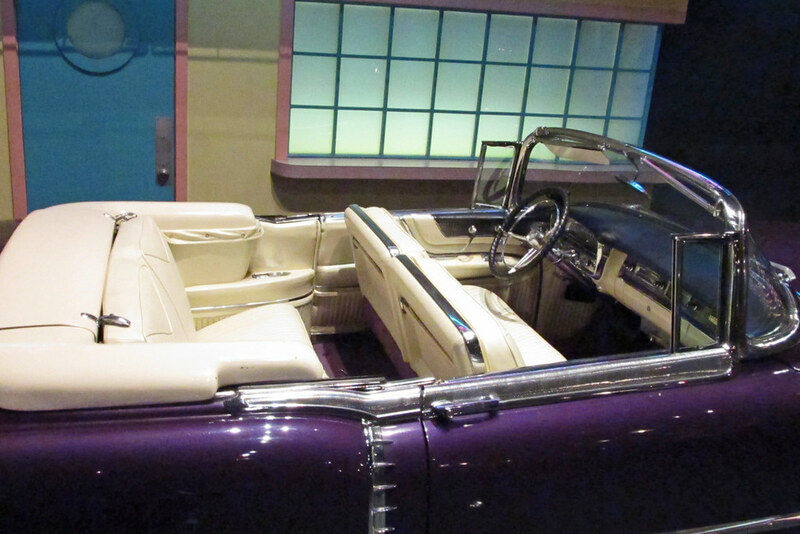 Probably one of the most famous Cadillac Eldorados of all time is the 1956 Eldorado Biarritz owned by Elvis Presley. This car was special ordered by the King himself and still exist today. It is currently and forever on display at Graceland. What you are about to see and read is the complete history of this car from the perspective of a Cadillac enthusiast. Here's a current picture from the Graceland museum to get us started. BDY#2039, PNT # 90, Top #1, Trim 00= special order full white leather. ACC- EHK. Factory air condition car. 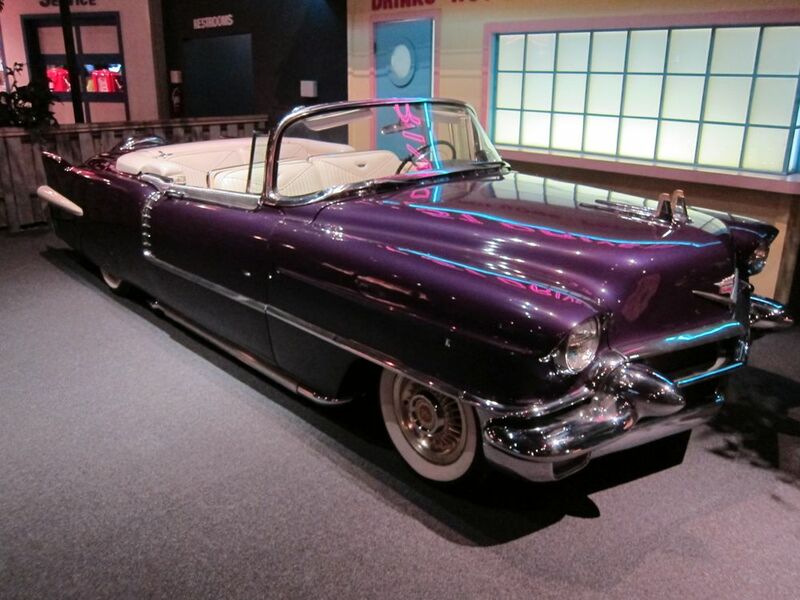 June 1st, 1956, this is the day when this Cadillac Eldorado Biarritz was built. 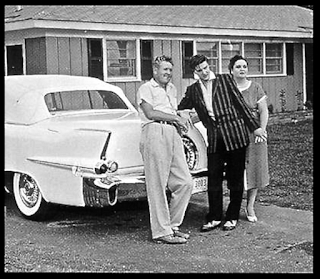 Elvis ordered this car in Alpine white with a white convertible top and a special order full white leather interior, air conditioning and EZ-Eye tinted glass. It was not purple, nor did it have gold wheels or gold grille as it does now. 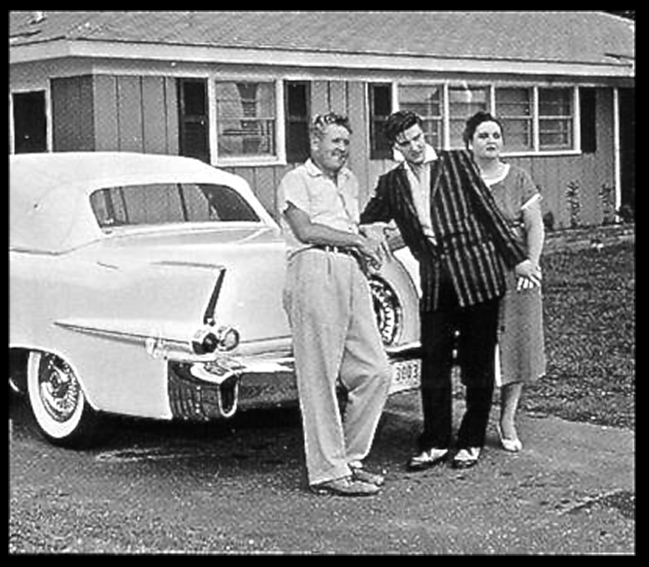 Here's the proud owner and his parents on June 17th, 1956 only a few days after he took delivery of the Eldorado. 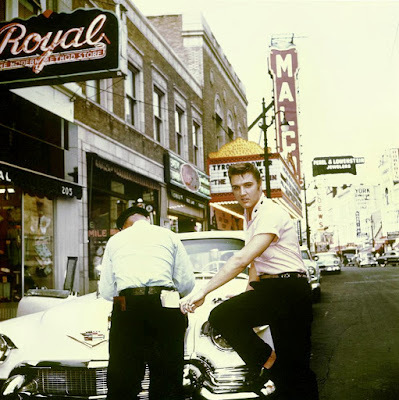 Below is two pictures of the car and Elvis in Memphis while getting a parking ticket in the summer of 1956. Another picture of the car before customization can be seen here. 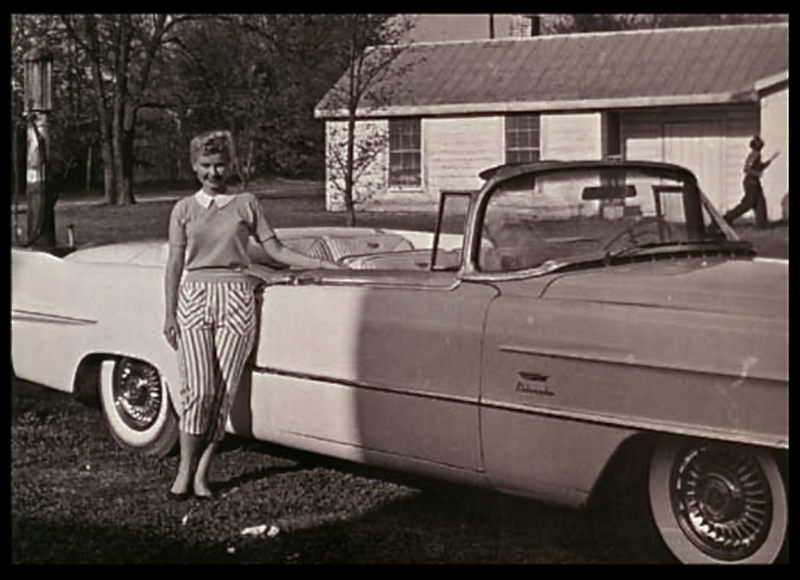 This one is from April of 1957 with actress Yvonne Lime posing in front of the car. Note the special order full white leather interior & dent on the bottom of the fender. 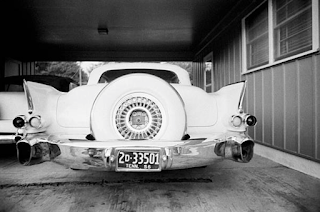 At some point in July of 1957, Elvis had the Eldorado customized. The story goes he brought the car to the shop and asked for the car to be painted purple. To demonstrate the color he was looking for Elvis smashed grapes on the fender. The paint & body work included removing the emblems and crest from the fenders and painting around the quarter panel bolsters allowing the original white paint to show. Painting around the bolster was probably done because the bolster molding is very difficult to remove! Here's Elvis in the Biarritz with it's new purple paint. Notice no fender emblems or crest and no sign of side pipe exhaust at this point. Elvis had the side-pipes added just after this photo. 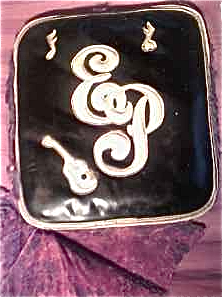 Elvis also had matching purple mouton fur installed for carpeting and special leather floor mats with his initials on them. Here's a picture of one of the original custom floor mats. It was removed from the car in 1970. If you look closely you can see some of the mouton fur is still attached. NEW INFO Feb 15, 2012. I spoke with the person that actually removed the carpet & mat from the car. There was only one mat that was sewn onto the mouton fur. It was centered over the transmission tunnel in the front section of the floor. The entire rug and mat still exist today and is available! Ok, now this is the part where I disagree with what has been said by others about the seats in this car. The seating was not reupholstered. 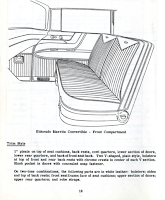 The roll and pleated pattern was standard for the 1956 Eldorado. What is unique about it and maybe cause for the confusion is, Elvis special ordered this car from the factory with full white leather seats. Let's go one step further. The majority of the interior in this car was not changed during the customization. Only the rug and floor mats were done. If you look closely at the video above you will see the factory seat pattern right behind Elvis's left shoulder. 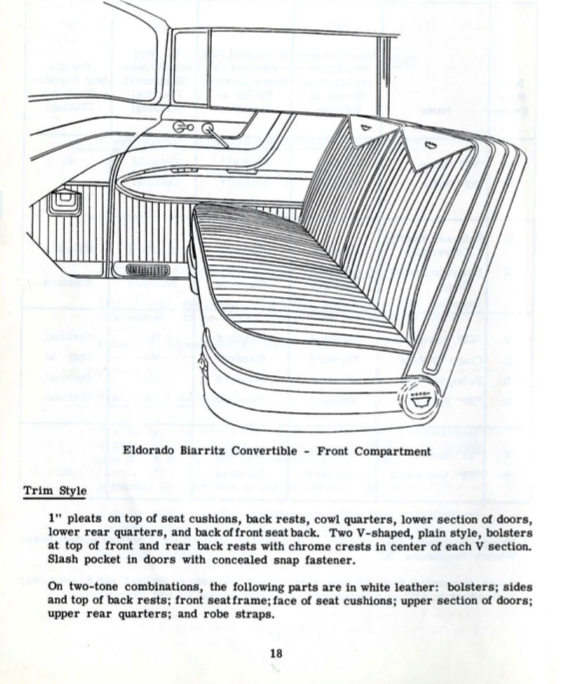 This picture from the 1956 Cadillac Data book will show you the factory pattern of the seating along with a picture showing the interior of the Elvis car in Graceland. Click on both to enlarge. Elvis didn't keep this car very long. Apparently this car gave him a lot of trouble. If the car troubles were related to electrical problems, this story George Klein told may shed some light(George was a life long friend of Elvis). 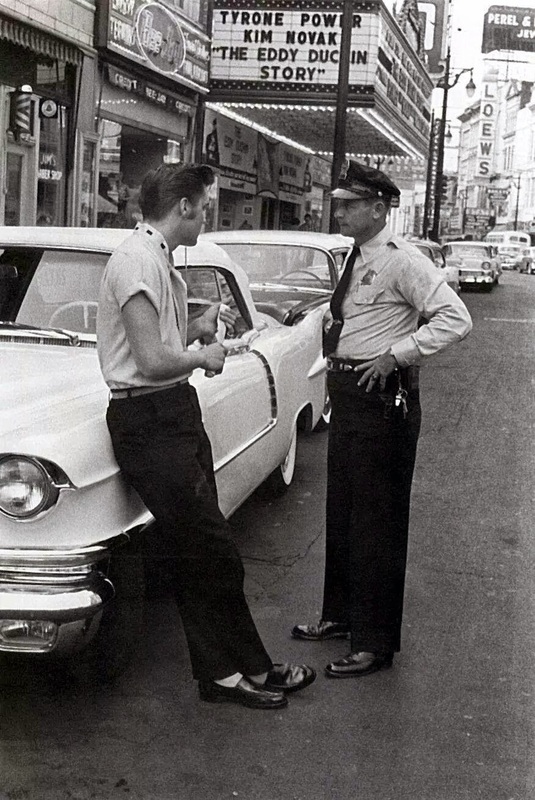 George tells of a time when Elvis and the guys took his 1956 Eldorado(white at the time) to the fairgrounds for a night out. They got caught in a thunderstorm while there. The Eldorado was parked with the top down. When they got in the car to leave, Elvis just left the top down and drove through the thunderstorm all the way home. As George tells it, the car filled up with so much water that when they got out of the car, water gushed out the doors! Imagine that! 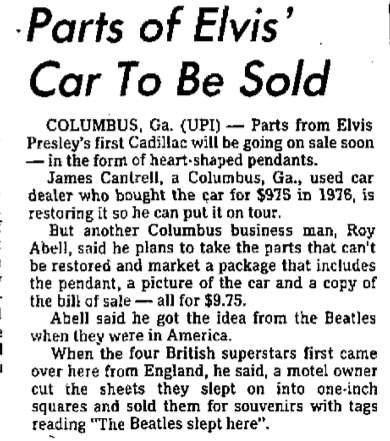 In December of 1957, the King traded in his custom Cadillac. 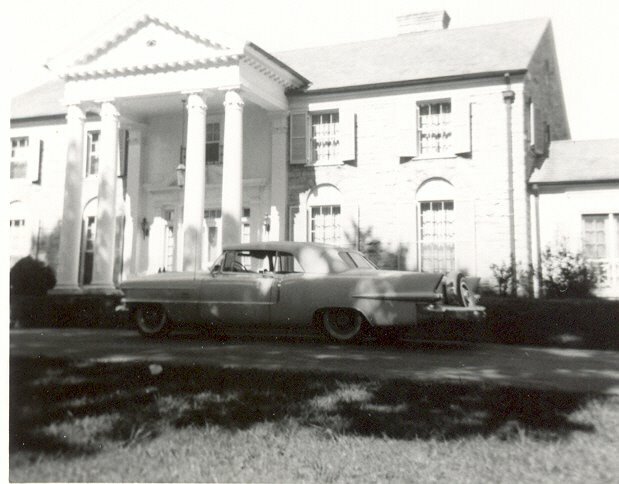 The Eldorado was sold quickly to an Elvis fan in Memphis on December 23th, 1957. See the used car receipt to the new owner below. 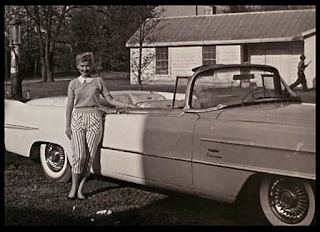 Mrs. Lena Moskovitz kept the car under a carport until her death in 1974. 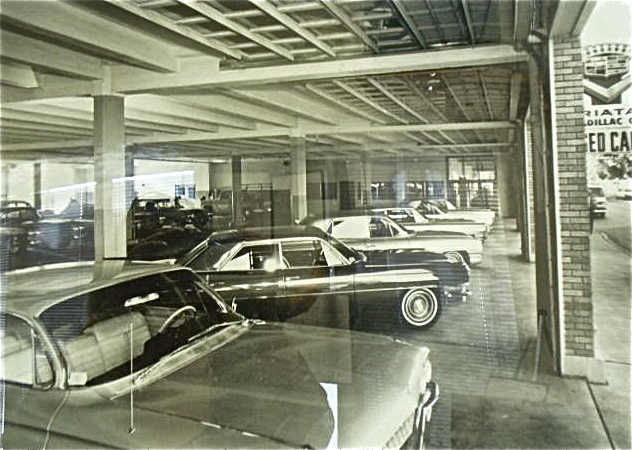 In July of 1976 the Eldorado was auctioned off for the sum of $975. It's condition was poor as you can see in these pre-restoration pictures. The following pictures were taken in the driveway of the new owner, James Cantrell. Finally the Eldorado returned back home to Graceland where it all began. 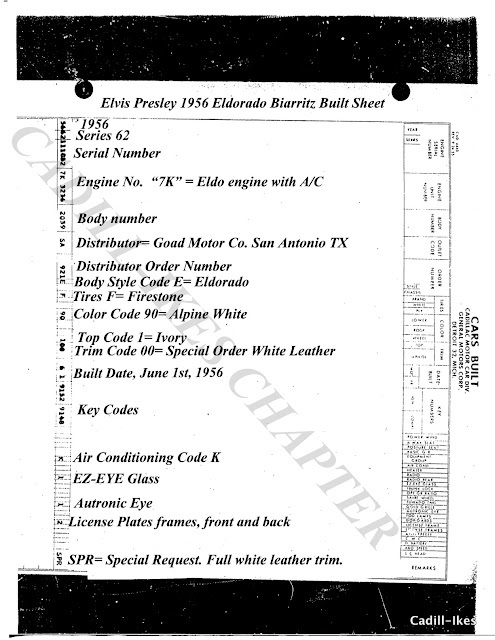 So where did the idea come from to get the build sheet for the Elvis Eldorado? I'm a casual Elvis fan at best so it wasn't my love for Elvis. This had everything to do with his 1956 Biarritz and the picture below. Look closely at the bottom of the dash in this car and you will see the air conditioner controls. 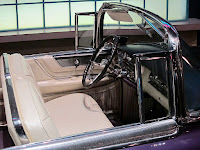 In '56 Cadillac built 2150 Eldorado Biarritz's and only a small fraction were built with factory a/c. Could it be, the Elvis car had factory air conditioning? As suspected, the car was indeed factory equipped with air conditioning but thats not all. 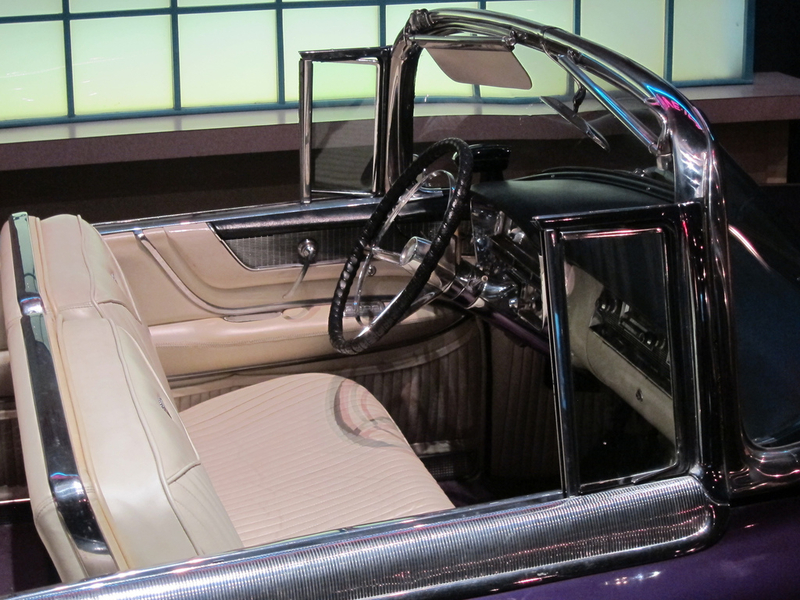 We also learned that Elvis ordered this Eldorado with a full white leather interior. This was not a standard option. It was available by special order only. The date of which his car was built is another new bit of info along with which distributor the car was shipped to. 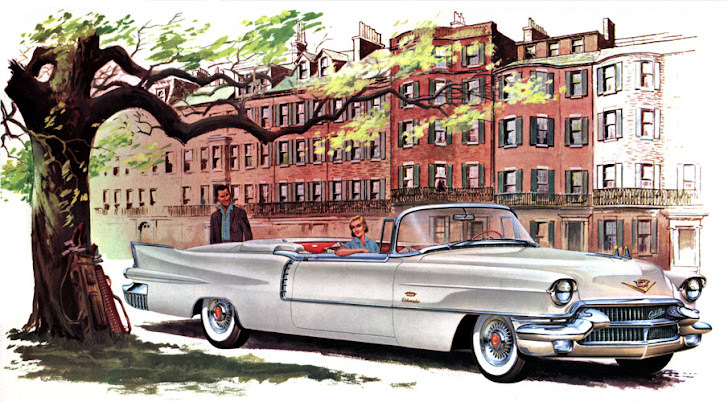 The Eldorado was built on June 1st, 1956 at the Cadillac Clark St plant in Detroit. It was shipped to Goad Motor Company in San Antonio Texas. This does not necessarily mean that Goad was the selling dealer to Elvis. 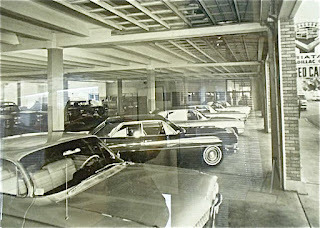 Goad was a full fledged Distributor for Cadillac at this time. 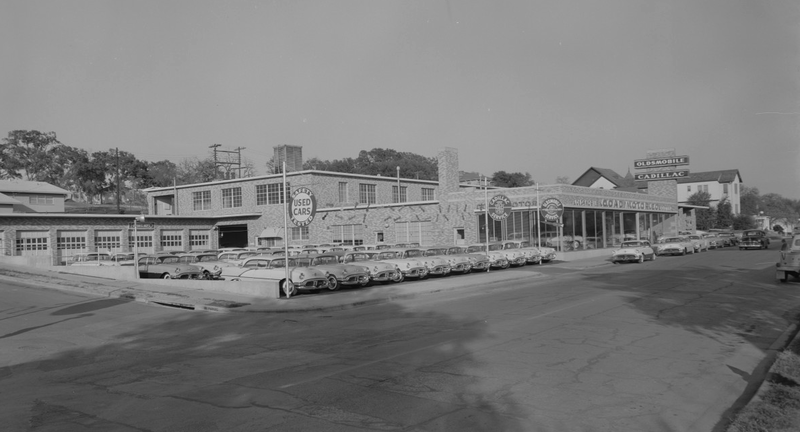 This means that any Cadillac sold by a dealership in the Goad territory was shipped to Goad and Goad then distributed the cars to the dealers in their territory. True middlemen. 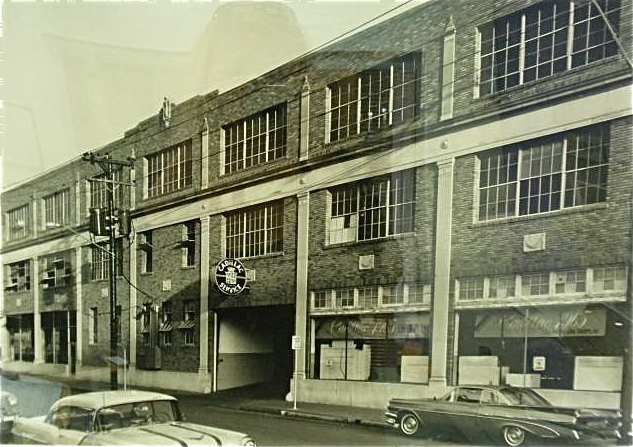 Here's a couple of pictures from 1965 of the Goad building in San Antonio. Goad also operated a separate Cadillac dealership in Austin, TX. The two photos below show the Austin store circa 1956. 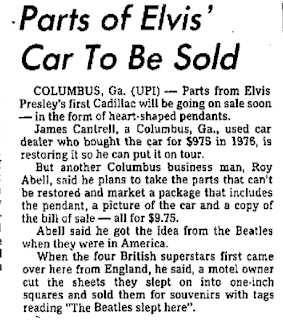 Did one of these Salesmen sell Elvis his car ? We have discovered why Goad Motor Company in San Antonio was the distributor for this car and not a distributor closer to Memphis. A special order Cadillac like this one would take about 3-8 weeks to build and ship from Detroit. We know from the build sheet that this Cadillac was built on June 1st. With the help of a couple of Elvis websites that documented every day of his life in 1956. I was able to backtrack where Elvis was 3-8 weeks prior to June 1st. Sure enough... on Sunday April 15th, Elvis was performing in San Antonio! As chance would have it, the Municipal Auditorium was only 2 blocks away from the Goad dealership in San Antonio! "A" is the Auditorium, "B" is Goad Motor Company. 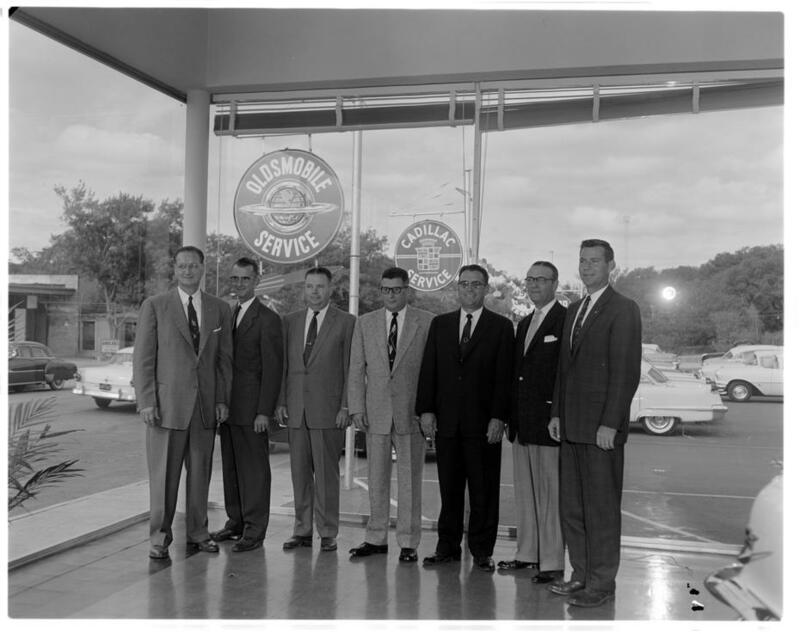 One could envision Elvis walking into the dealership on that day, ordering the car and leaving the salesman with the following instructions..."call me when it's ready". It is more than likely that Goad was the selling dealership! Finally on June 12th, 1956. Elvis was able to take delivery of the car he ordered on April 15th. 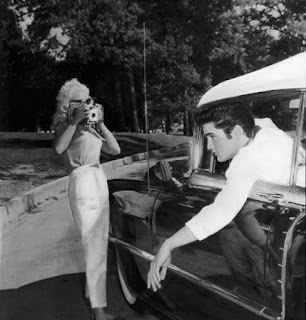 Elvis flew out to Houston with his girlfriend at the time June Juanico on the 12th to pick up the car and drive it home to Memphis. 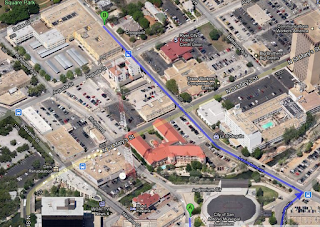 Records show that he did not waste anytime making the 600 mile trip back home, by June 14th he was back in Memphis. 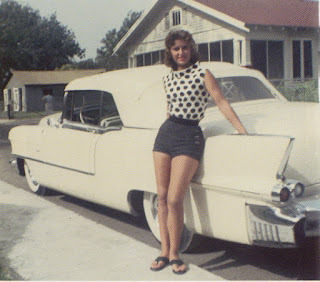 Here's a picture of June Juanico with the car in Biloxi Mississippi on a beautiful July day in 1956. Notice in the photo above. It is summertime in Biloxi, the top and windows are up. 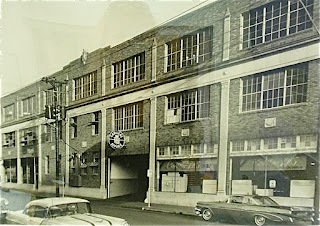 It looks like Elvis loved that factory air conditioning!!! Well there you have it folks, the entire history of this 1956 Cadillac Eldorado Biarritz owned by the King, Elvis Presley. I hope you enjoyed it.